When you’ve been in the industry as long as I have, no matter where I go, people always bring up certain topics. One of them is MASCARA! Even woman that don’t wear a lot of make up always seem to wear mascara. So I thought it might be helpful to have a list of dos and don’t s that I’ve learned over the years. 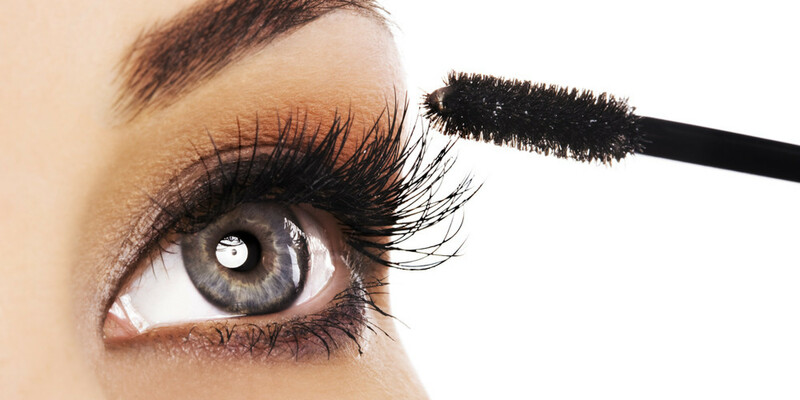 Pumping the wand in and out of the tube will dry out your mascara a lot faster. Think of all of the air that your are forcing into the tube. It will also create MORE clumps. No one wants clumpy tarantula looking lashes!! Instead, gently wipe the wand along the top as you slowly pull it out. It will take a lot of the excess mascara off the bristles. No matter how long your lashes are, they will look a lot longer if you curl them. Make sure to curl your lashes BEFORE your mascara. NEVER curl them after you apply your mascara. This can damage them. Start at the base and squeeze gently as you move up. If you really want to have some fun with it, you can get a heated eyelash curler!! There are many different types ranging in price. Almost all of my clients condition their hair, but not everyone thinks about conditioning their lashes! Your lashes are hair, so it’s important to keep them moisturized so they don’t get brittle and break off. It will also strengthen them so they are able to grow fuller and longer. I love the Motives Lash primer, because it also adds texture to lashes so they appear thicker and fuller and it doesn’t flake off. Applying several thin coats are better than trying to apply one thick coat. Thick coats will make your lashes stick together and get clumpy. Apply one thin coat, then let it dry for a minute or two. Apply a few more thin coats and if possible, and use a lash comb in between. This will really make your lashes look a lot fuller. Don’t just coat the top. Start underneath and ask you move up, move the wand back and forth while twirling the brush. Then you can move on to the top. This will ensure that you have coated all of them evenly. Be aware of what is in your mascara. Mascara can contain many ingredients that can dry out your lashes and even make them break off! Some of them flake, smudge, or cause eye irritation. I prefer to use a mineral mascara with beeswax like Motives® for La La Mineral Volumizing & Lengthening Mascara. You can choose from black or brown and don’t worry, if you like a curved brush, you can bend it very easily to whatever angle you prefer. How long do you keep your mascara for? It’s advised to get a new tube of mascara every 3 months…yes, you heard me! Bacteria can multiply pretty fast and cause eye irritation, or even an infection. It can also cause other problems that no body wants. Here are some signs you need to replace your mascara: If it becomes clumpy, if it appears flaky and dry, if you notice a change in its color, if you notice it has a funky or rancid smell, if you recently had an eye infection (continuing to use it can lead to further infection and contamination), if the mascara in the tube has come into contact with water (water contains bacteria). These were the top 7 tips that I have. Do you have any? I’d LOVE to hear them!